Goodbye, all other lipsticks, it was nice knowing you. A beauty brand from China is taking the internet by storm, courtesy of its magical new product. 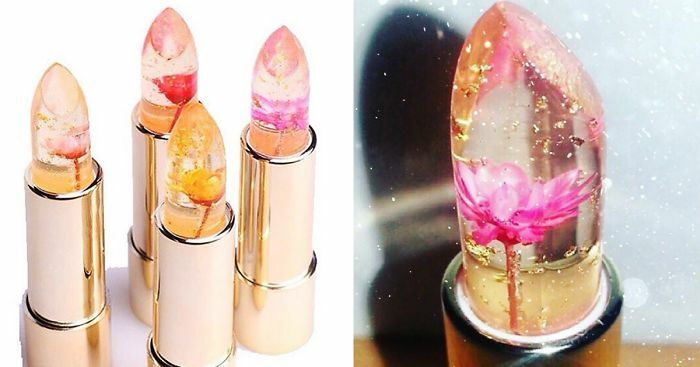 Kailijumei – the online cosmetics distributor – has created our latest makeup obsession: color-changing lipsticks that feature real flowers and gold specks inside! 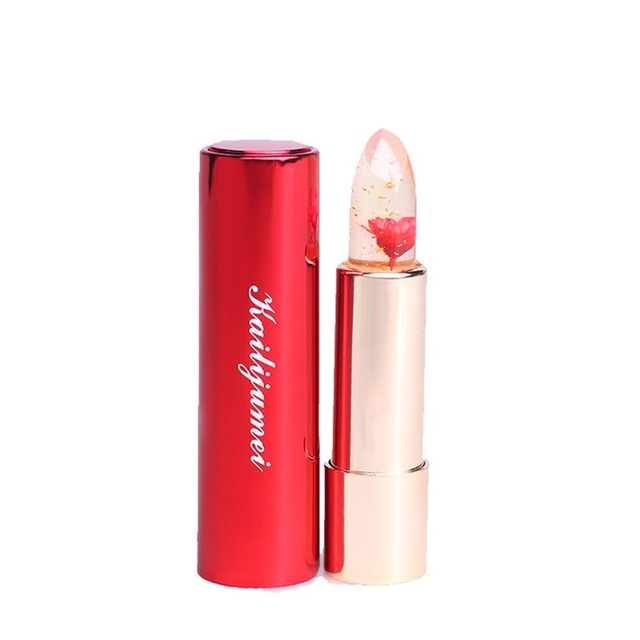 In the tube, the jelly lipsticks appear to be clear, but change color as soon as they’re applied to your lips, depending on your temperature and body pH. Kailijumei offers three shades – Flame Red, Minutemaid, and Barbie Doll Powder – and the names refer to the flowers inside. Unfortunately, all three of the colors are completely sold out, but a pre-order is available through Kailijumei’s China-based website. All lipsticks are priced at $30 each.